Prominent & Leading Manufacturer from New Delhi, we offer anilox coating system, anilox coater and anilox coating attachment for heidelberg. 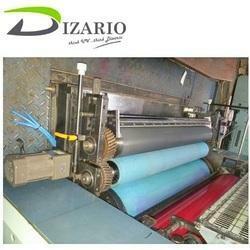 Anilox Coating System machine is used for online coating. 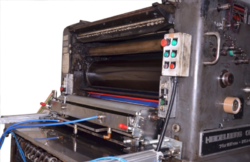 Any type of coating like UV, Aqueous varnish, Primer coat can also be done on this machine. This machine is easily attached to any offset printing machines for full coating and spot coating. Auto Synchronised with machine speed. Quick Roller change system with integrated design. Driven by Servo Motor and Servo Drive. PLC and Encoder based System. Automatic impression with pneumatic control. We are offering Anilox Coater to our clients. High-Quality Anilox Roller for Accurate and smooth Transfer of UV Aquas Varnish. Servo motor (Make-Delta) and Servo Drive (Make- Delta) for quick Speed match with the machine. Encoder and PLC based on auto synchronized with machine speed. We are offering Anilox Coating Attachment For Heidelberg to our clients.